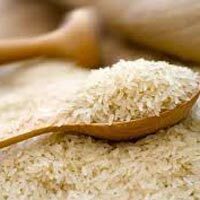 We are well-known Manufacturer, Exporter and Supplier of Basmati Rice in India. Our rice is known for its excellent taste and pleasing aroma. We provide rice that is free from any kind of impurities. We make available Basmati Rice in both small as well bulk quantities at the most reasonable price in the market. We believe in delivering Basmati Rice within the stipulated time frame. Long grain size, pleasing aroma and great taste are some of the main attributes of our Non Basmati Rice . The rice that we offer is grown using advanced agricultural practices ensuring high nutritional value. We provide rice that is widely used to prepare variety of recipes. Our Non Basmati Rice is highly praised by our valued customers due to its freshness and longer shelf life.